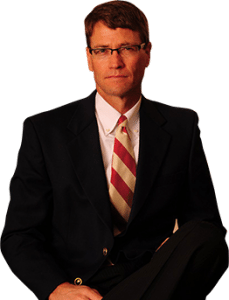 Covington Injury Attorney warns- recovery limited by the amount of insurance. If you are seriously injured in an auto accident, truck accident or motorcycle accident, Kentucky law allows you to recover certain damages – pain and suffering, lost wages, medical expenses, etc. However, if the person at fault in your accident does not have sufficient insurance coverage to pay your claim (and the minimum required in Kentucky is $25,000.00), then you will not likely receive the full compensation you are entitled to receive. Of course, you can protect yourself from this problem by purchasing uninsured and underinsured motorist coverages on your own vehicle. These coverages will you to supplement the coverage available to the at fault party. Normally, trying to collect someone’s personal assets is not wise. The at-fault party can file bankruptcy if they do not have sufficient insurance to cover your claim, which is why your Covington injury attorney will not likely be able to go after the at-fault party’s personal assets unless the assets are significant. Also, if you go after the person’s personal assets you will not received the liability insurance limits available to the at fault party because the at fault party will expect you to sign a release of all claims before they are willing to pay over their liability limits. It is important to purchase Underinsured Motorist Coverage for your car, truck or motorcycle. If the person at fault in your accident only maintains $25,000.00 in liability insurance and your claim is worth $50,000.00 then you need to have $25,000.00 in underinsured motorist coverage in order to receive full compensation for your damages. First, your Covington Injury Attorney will collect the $25,000.00 from the liability insurance company and then collect the remaining $25,000.00 against your own insurance company. Contact Covington Injury Attorney for FREE Case Evaluation! If you have been seriously injured in a motor vehicle accident, contact Covington Injury Attorney Matt Troutman of the Troutman Law Office. Call Matt directly for your free case evaluation or by email at troutlaw3550@gmail.com.